Welcome back to a new year of sport at Brisbane Girls Grammar School. Girls Grammar prides itself on the tradition of participation in sport and I look forward to girls embracing the sporting opportunities available at the School in 2019. With 18 sports on offer, Girls Grammar welcomes more than 1000 girls into the sporting community each year. It is essential that parents and guardians are equipped with the information regarding collection times and venues for the sporting activities offered at the School. Sporting schedules and fixtures are updated on the ‘School App’ and Parent Portal. This is the primary method of disseminating information to parents, guardians and students. Girls are also required to check Daily Notices for updates. Sign-on lists for sports are found on the Sports page on GrammarNet and we encourage parents to access this with their daughters at home. Brisbane Girls Grammar School sporting teams compete and train at a number of external venues, and fixtures can finish at 6 pm or later. Please be ready to collect your daughter at the conclusion of these sessions. If your daughter is not collected at the conclusion of the activity, Girls Grammar’s procedure is to send your daughter back to the School in a taxi or by our chartered bus transport. The School’s security officer supervises girls once they return to the School. Girls are required to negotiate timetable clashes that they may have with their coordinator (not the coach) ahead of time. Girls will not receive emails unless there is a last minute change to information and should source information in the Daily Notices, the ‘School App’ and Parent Portal regarding training, fixtures, venues and expectations. Please encourage your daughter to speak to the relevant Sports Coordinator if she has a specific question. Sports Coordinator contact details are also available on Parent Portal. Students are asked to wear their correct Brisbane Girls Grammar School sports uniform to training and games. The School sports uniform should only be worn while representing the School (not in external sporting competitions). 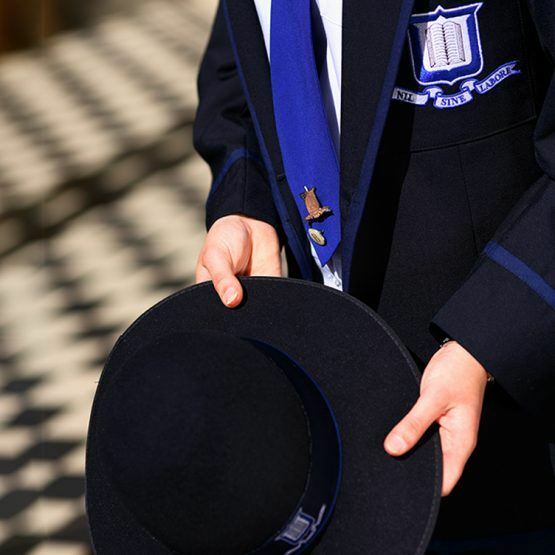 Please note, the sports uniform may only be worn to or from the Main Campus if students arrive before 7 am or leave after 5 pm and are travelling by private transport, using the drop-off zone on Gregory Terrace. We look forward to parents supporting their daughters’ sporting activities this year.